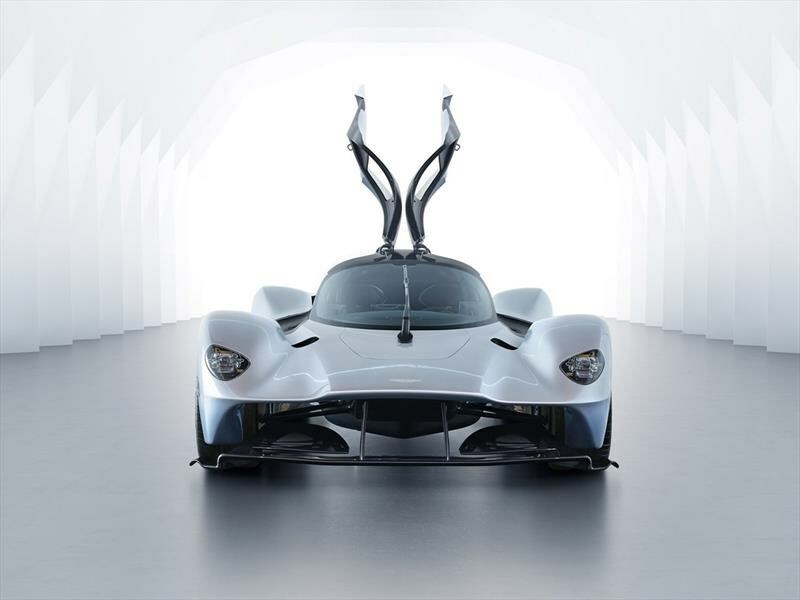 El Aston Martin Valkyrie es uno de los autos más codiciados de los últimos años. Fabricado en conjunto con Red Bull, el bólido británico fue uno de los grandes lanzamientos recientes de la marca , y sus dueños tienen la posibilidad de ir más allá y darle sus toques personales. Dinero no les falta. Justamente, uno de esos dueños, un coleccionista que se jacta de tener un Pagani Huayra BC y un Koenigsegg Agera, además de otros vehículos, tuvo una idea algo descabellada. Lunática, mejor dicho, y nunca mejor usado el término. Sucede que esta persona afirmó en su cuenta de Instagram que compró una piedra lunar y la va a hacer polvo para utilizarlo en la pintura "rojo lunar" de la carrocería. Así que este modelo no sólo va a rugir por medio de su V12 6.5 L que eroga la jugosa suma de 1,130 Hp y que puede pelearle de igual a igual a un auto de la F1, sino que también va a emular a una nave espacial ...¿farsa o realmente va a haber un Valkyrie Lunar? BIG ANNOUNCEMENT!!! My visit to Aston Martin was very inspiring. A few weeks ago @milesnurnberger had commented to me that a spec we were discussing reminded him of a Space Ship. I immediately responded, “The Valkyrie makes a Space Ship look like a Car!” 😆👍 That got me thinking... How do I raise the bar of my spec to be worthy of Valkyrie level? 🤔 If ever there was a machine that could grip the ground and rip around the craters of the Moon like it’s on rails, it would be the Aston Martin Valkyrie. Unfortunately, science won’t allow me to be the first person to drive on the Moon (gravity is still an issue, they say), but nothing is stopping me from bringing the Moon to my Valkyrie!! 🌚 I have sourced, gotten proper verification, and purchased an actual Rock from the Moon which will be ground to dust and used as a key ingredient in Karosserie Lunar Red which will be the color of my Aston Martin Valkyrie. 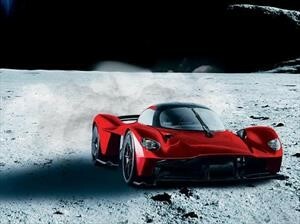 This will be the first car ever to feature a paint formula that includes actual ingredients from #SPACE !!! Thank You to everyone at @astonmartinlagonda, @redbullracing and Karosserie in Wayne, PA. More renderings will be released in the coming weeks and months. We will also document and share some of the process of making actual Moon Rock part of this very special color being developed exclusively for the most special car of my lifetime: The Aston Martin Valkyrie. 🙏👽🙏 Thanks to 🖍@marcovanoverbeeke🖍 for helping refine my spec and providing me with renderings and thanks to 🌠@capitolsunset🌠 for setting the mood of the image on the Moon. More to come!! #ToTheMoonAndBack #🌚 🙏😆🙏 ______________________________________________________ #AstonMartin #Valkyrie #AstonMartinValkyrie #Moon #MoonRock #KarosserieLunarRed #KrisSingh #Red #BloodRedMoon #ToTheMoonAndBack #ComingSoon #2019 #RaiseTheBar #NASA #RedBull #RedBullRacing #AdrianNewey #MarekReichman #MilesNurnberger #AndyPalmer #AstonMartinRules #GameChanger #LunarRed #F1 #Redhead #RedWillNeverBeTheSame #TheRedOfAllReds #BLESSED ______________________________________________________ PS - No information or details regarding my source, purchase price, weight of the Moon Rock, or other, will be shared.